A gifted professional, helping people reveal their true essence. Open to a new awareness of your feelings and where they guide your creativity. Learn about what is happening in your life now and how you see the past and future from your present perspective. Illuminate your personal patterns so you can use them to positively influence your daily life. Discover ways to heal within yourself. Amelia is a gifted professional Palm Reader, helping people reveal their true essence. She often begins a reading by confirming with where you are now. She illuminates your philosophy, confirms your deep wounds, and provides suggestions about how you may change your life and world. Through loving support, Amelia assists people in claiming their power to create their destiny. I loved my palm reading with Amelia. I found her to be an exceptional reader with very helpful information and perspective. She is very insightful and I can't wait to go and see her again for a more in depth reading. I was amazed from my reading with Amelia! I recorded it on my iPhone and immediately transcribed it. I felt so validated and inspired. Some of her insights were immediately valuable in my business practice. I approached Amelia as a fun thing to do. In my 10-minute reading, I received so much information and direction. I typed the essence of my reading and posted it on my fridge. Try it for fun and see what you get. My experience with Amelia was FABULOUS! I felt inspired and uplifted. Amelia helped bring things to my consciousness that I previously was working with on a subconscious level. I now have a clearer picture of how to create changes. I feel that her insights were amazing and very useful in my daily life. I highly recommend sitting with Amelia and taking a deeper look at yourself. I have had 2 hour-sessions, and 1 palm reading in the last seven years and each session has been better than any therapy session. Amelia has a great way of connecting me to my environment because she opens my eyes to what is going on in my relationships. Amelia is positive and reminds me that change is natural. I love my sessions. I have had several readings from Amelia. Each one is truly amazing. Each one speaks to what is happening in my life (whether I want to admit it or not), and confirms that it is what I need to be thinking about and, in some cases, resolving. We have half of my office coming down for readings and each one of us walks away amazed. I recommend recording and listening to it to get the real message. What is an intuitive Palm Reading? Intuitive Palm Readings are your own 'energy' readings. They're about your story of NOW. Amelia's insights invite you to become more conscious of your emotional, spiritual and physical life choices that determine the reality you manifest. Anything. You can ask about love, career, family, health, relationships, money, and more. Amelia believes in self-determination, so she cannot say when or if something is guaranteed to happen. While Amelia is highly successful at contacting anyone, she is not able to tell if they are alive or dead, nor where they are located. Amelia does not locate lost pets, items or people. Is Amelia right for you? I have been doing intuitive palm readings since I was 7 years old. I use the palm of the hand as a medium to be able to go deeper into a person's story. In addition to reading lines and curves of a hand, I use my intuition to see a person's complete story. I do not judge this story I only love it. I work as a palm reader because I absolutely want us to love ourselves. When we love who we are, there is no way we are able to hurt each other; we love one another like we love ourselves. I am able to give information about past lives, spirit guides and all other energetic helpers and imaginary friends. I am not a certified medical intuitive; however, I can see emotional blocks that manifest as physical pain in the body. I do not believe emotional or physical pain is bad, only a complete experience in being human. In my readings I illuminate the knowledge that we each hold, that we love ourselves and can move through emotional and physical pain. All people are equal and I treat them and myself with respect. I believe that we are the only ones responsible for our lives and the choices we make. I am open to the views and opinions of others. I do not claim that I am accurate all the time and do not believe any person has all of the answers. All of my readings are confidential. I am not a religious person but do hold to the belief in a a universal power that we are all connected to. I will honor whatever name you chose to give this power. I avoid fraudulent practices and always give genuine information to the best of my abilities. I am a student of what I teach and live each and every day as such. She arrives at the Olympia Farmers Market around 9:30 am on most Fridays, Saturdays, and Sundays. With impressive precision, she quickly sets up an umbrella, a table, and three folding chairs. 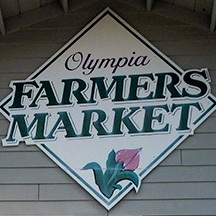 The downtown Olympia Farmers Market offers more than local crafts, meat and produce. For eight years now folks have been drawn to the market to meet with intuitive and psychic palm reader Amelia Romoff. ​Please tell me if you are coming. Walk-in Onlly. There can be a long line so Please come Early. 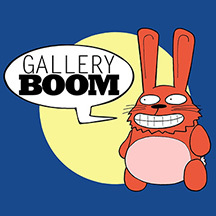 ​vailable for walk-in readings at Gallery Boom, 520 Adams St SE, Olympia, WA 98501 . Private readings can be scheduled before or after those times on the weekend. Private readings can be held anywhere of your choice. At the gallery, at your home, at a restaurant…? Provide 3 choices below of your best day, time and location. You can record if you would like. Payment is required after you have a confirmed/scheduled appointment. I accept cash or credit card through PayPal or Square. Buy a reading for a friend. They'll receive a personalized greeting by mail. Receive updates and specials by email.